With the arrival of the iPad, the public masses have started to learn more about digital books and digital readers like the iPad and the Kindle. The uptake of these has lead to a much bigger push for digital books and magazines and the move away from traditional printed books has been gaining greater momentum now that access to the digital format and e-readers is more widespread. The new iPhone operating system holds the same iBooks app as the iPad and it is a very welcome addition. Being able to save attached PDFs from your emails to view is rather handy, but with only project Gutenberg books (ones out of copyright) available, your choice of reading material through the Apple offering is meagre at best. Downloading the Kindle app or many of the other limited source readers can give you plenty of options for reading. The free Stanza app seems to be the best of the alternate options as you get a whole host of free locations to choose books from but you can also add additional sources to it for sourcing books. 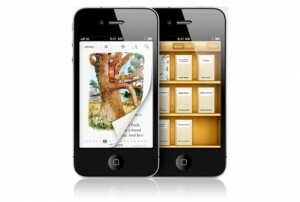 With this app you can head to manybooks.net or any of the ePub sites to get your fill of reading material. You can also download online PDFs to read by simply pointing the app to the correct web folder and set it up to easily read all the PDF e-books you have already. Wondering what the difference is between a PDF e-book and an ePub format book? If using a PDF you will not be able to change the font typeface or its size to ease your reading. There are plenty of sources of free books and it can expose you to writers you never would have picked up without someone recommending them to you. True, it is still nice to sit in the sun with a cuppa and read a paperback pulp novel, but not having to carry a huge box of books with you on holidays or to work makes it a lot easier for when you have some time to do some reading. You will spot me around Sydney on the trains to and from work head down reading, most likely a Sci-Fi themed book or a book on Graphic Design on my iPhone. Anyone have any good sites for books online that they use?